Military families are accustomed to hardship and change. They deal with situations that less than one percent of this nation has to due to their service to our country. One such family is the Young family: Perry, Samantha and their little girl, KinLee. In the Army for three years, Perry’s first deployment resulted in injuries sustained from a suicide bomber in July 2013. 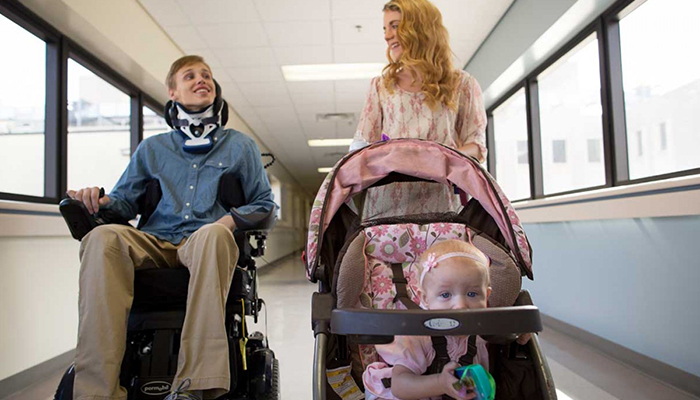 Now in a wheelchair, he is receiving the best treatment possible, with his wife and daughter a short walk away. 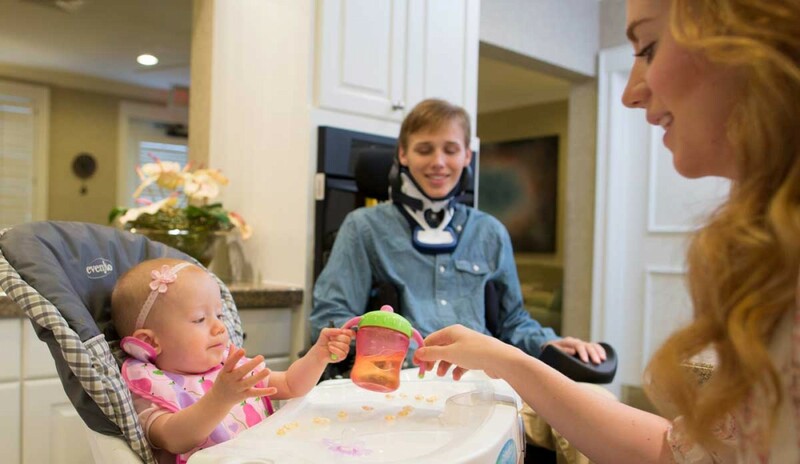 Sam and KinLee called the Tampa Fisher House home for several months while her husband Perry, US Army, was being treated at the James A. Haley Veterans Hospital in Tampa, Florida. After Landstuhl, Perry went to Walter Reed National Military Medical Center in Bethesda, Maryland; and finally to Tampa, Florida where the remainder of his recovery would be. Knowing that they were in Tampa for the time being, Sam brought their daughter, KinLee, to the Tampa Fisher House with them. While Perry recovers in the hospital, he knows his wife and daughter are safe and cared for – and that he can come over to visit anytime. “For me, the Fisher House helps because I can get out of the hospital and come here,” Perry said. With an open-design kitchen that leads to the family room, the Young’s can cook or relax and keep an eye on their daughter. The communal living space has also allowed Sam to have “group therapy” with the other guests or take some of their advice as a new mom. Sam and Perry expect to be in Tampa permanently and once Perry becomes an out-patient, he will continue receiving treatment at the VA hospital. At that time, they will find a permanent home in Tampa, but for now they will call Fisher House their home. 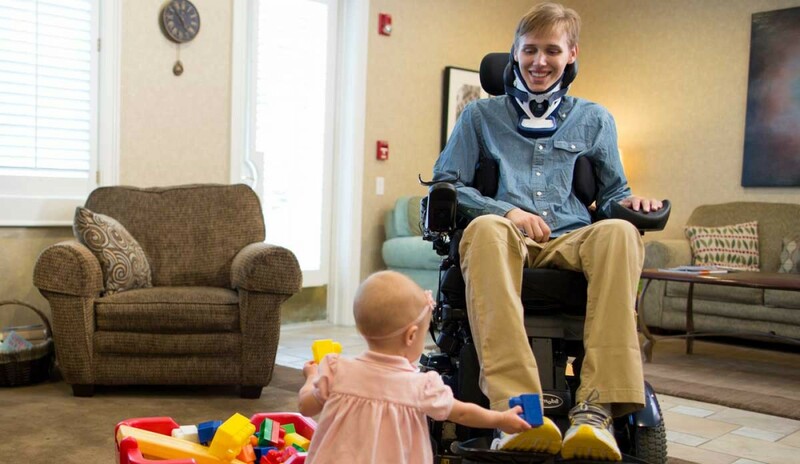 Having the Fisher House was not only convenient, but financially a blessing.